Bright golden straw color. Fruity, floral aromas and flavors of lychee, honeysuckle, spiced tangerines, and lemon chiffon pie with a supple, tangy, fruity light-to-medium body and a smooth, subtle, medium-length finish that shows notes of mango-apple coulis, fruit salad, and edible flowers with fine, crunchy, fruit tannins and no oak flavor. A lively and refreshing gewurztraminer with good balance. Bottom Line: A lively and refreshing gewurztraminer with good balance. Wines made from the Gewurztraminer grape are easy to recognize thanks to their unmistakable perfumes of lychee, yellow roses, grapefruit and ginger. In fact, it has been documented that Gewurztraminer is among the easiest varieties to recognize simply from its aromas. 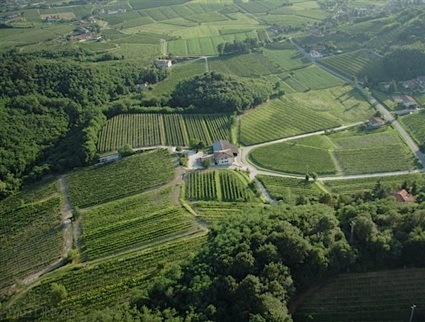 While Gewurztraminer is produced in several countries, including the United States, Chile and New Zealand, is is only made into an accomplished wine in two regions: Alsace in northeastern France and Alto Adige in northeastern Italy. In fact, the town of Tramin in Alto Adige lends its name to the grape; as the word gewurz means "spicy" in German (one of the official languages in this territory), Gewurztraminer is the "spicy one from Tramin." The dry versions from these regions are rich and spicy and should be consumed within 5-7 years of the vintage date (the Alsatian examples tend to age longer); pair them with Thai, Asian and fusion cuisine or a specialty dish such as Quiche Lorraine. Sweeter versions are made in both regions; the vendange tardives and grains nobles Gewurztraminers from Alsace can age for two or three decades and are excellent on heir own or with blue cheese or foie gras. 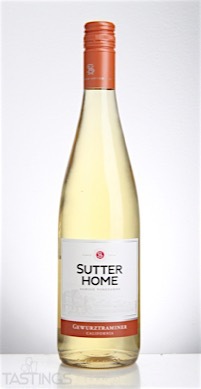 Sutter Home NV Gewurztraminer, California rating was calculated by tastings.com to be 86 points out of 100 on 11/15/2016. Please note that MSRP may have changed since the date of our review.